I work on canvas and glass and.am inspired by the delicate draughtmanship of the Art Deco and Art Nouveau eras. My love of colours, unusual colour combinations, and Pop Art, hopefully bring a modern sensibility to my images. I focus on faces and the human form in fluid motion, reducing each element to the bare minimum. The Portraits and Icons series takes pertinent aspects of each face and places them in stylised illustrative context. Using dense splashes of colour on a white background the features appear to be floating on the wall. Other work sees figures engraved onto the back of painted glass, then brought to life with silver and coloured enmels. 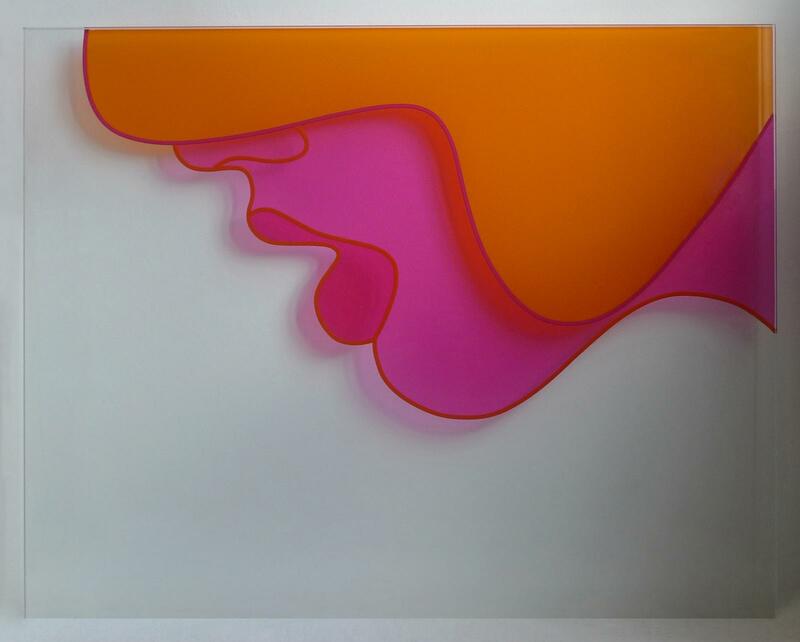 I also work with spray enamels and vinyl on glass. I recently completed new work on glass using silver and bronze enamels on glass, including the portrait of the writer Samuel Beckett and the flying divers. These images are a little more introspective and thought provoking. In Spetmeber 2016, I displayed several items of art led furniture at the prestigious 'Decorex' trade fair and some new art - The Art Deco inspired 'Battersea Power Station on a Moonlit Night Cocktail Cabinet', 'Flamingos Bathroom Wall Cabinet', and 'Panthers', a striking sideboard with symmetrical heads roaring at each other from either side of the pair of doors. Having worked in design, the art images and furniture are particularly well suited to interior and architectural projects. I am happy to take on commissions for any of these - from original art work, to room dividers, bar splash-backs, bathrooms, kitchens, and furniture. Please check website for further images. EXHIBITIONS: 13 The Gallery. Truman Brewery. Oxford Open. Untitled Art Fair. Affordable Art Fair, Battersea. Lauderdale House - Solo Exhibition. Art Fair East. See Art Fair. 100% Design, Oympia. Affordable Art Fair, Hampstead. Windsor Art Fair. Reading Art Fair. Richmond Spring Fair. East Finchley Open. New Artist fair. Decorex International Design Exhibtion. Windsor Art Fair. Houses of Parliament.